Nearly 5,500 rhinos have been killed by poachers in South Africa since 2013. It’s a heart-breaking figure, but one that could have been far worse if it wasn’t for Dr Johan Marais, a vet, photographer and founder of Saving the Survivors. Launched in 2012, Saving the Survivors is a unique team of vets working on the ground in South Africa to treat endangered wildlife that has been attacked and injured by poachers. It is brutal work in tough conditions – and no two days are the same. If Johan and his team receive a call about an injured rhino, for example, they will drop everything to travel to the scene by either helicopter or land vehicle. Once in the area, they locate the rhino, dart it, wait for it fall into unconsciousness, then examine it. If the rhino’s horn has been hacked off by poachers, the team will assess the facial injury, then clean, treat and close it with a fibreglass protection plate that will stay on for four to eight weeks. 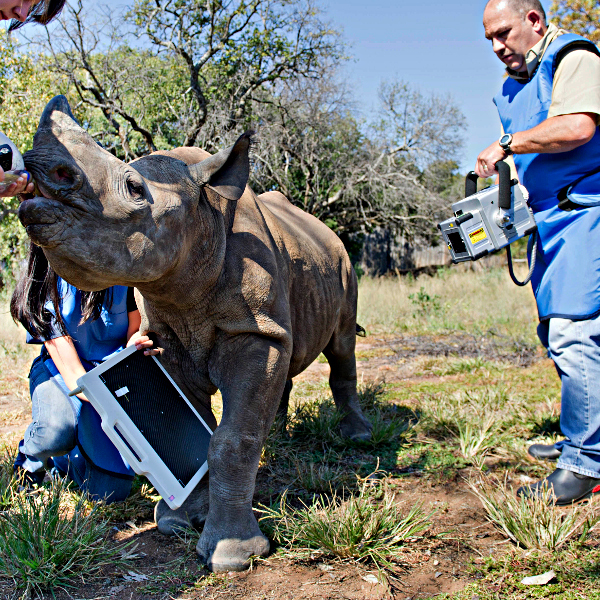 If the rhino has been shot, radiographs will be taken to try to locate the bullet and remove it. If any limbs are fractured, they are put in a cast. 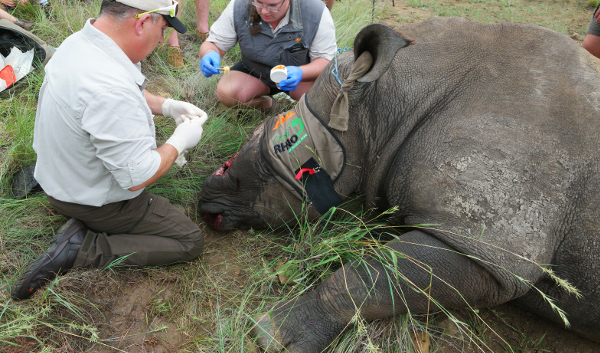 The rhino is then treated with painkillers and antibiotics and woken up. The rhino will then be monitored. 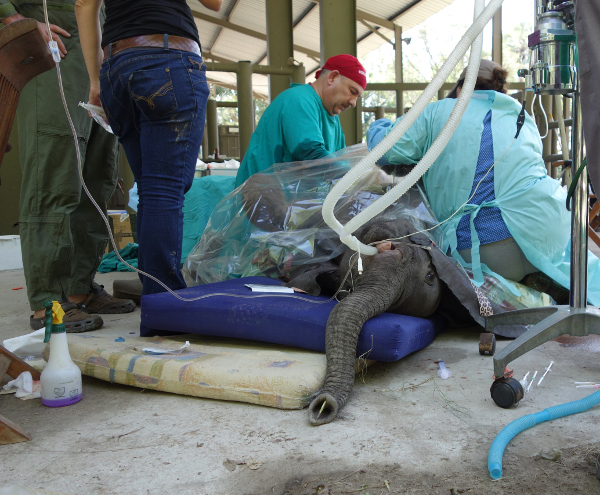 The injuries Johan and his team have had to treat are often horrific, but working on the frontline on the casualties callously left to die by poachers makes Johan all the more determined to never give up.